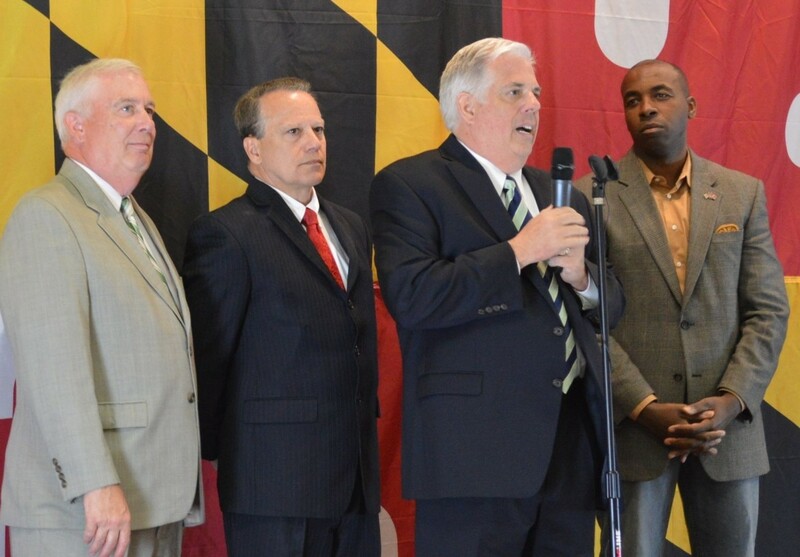 As hard as it was for some of them, the four Republicans who had run against each other for governor put on a show of unity Thursday night, with the three losers supporting winner Larry Hogan in an event organized by the state GOP. Party chair Diana Waterman said she was “grateful” that all of them and their running mates for lieutenant governor as well came together as they had agreed to do before one of the most fiercely contested Republican primaries in decades. “A successful race in November begins with a unified Republican Party,” said Hogan, the Annapolis real estate executive who won the race. “We’re going to take this fight to Anthony Brown,” the Democratic nominee and current lieutenant governor. One of the more poignant moments was the standing ovation the crowd of several hundred Republicans gave to the defeated candidate of probably the most fiercely contest and negative party primaries in the state — Anne Arundel County Executive Laura Neuman. Anne Arundel County Executive Laura Neuman, left, addresses crowd with Maryland Republican Party Chair Diana Waterman at her side. “The worst Republican is better than the best Democrat,” Schuh said. Heavily outnumbered and outspent by Democrats, Republican Party officials are under no illusion that victory will be easy in the fall, but they feel this will be another rare election favorable to their party. “The stars are aligned,” said former state GOP chair Jim Pelura. The candidates need to stay away from social issues that can alienate voters, and focus on the economic issues that are hurting people and small businesses across the state, Pelura said. Republicans gather at Severna Park Knights of Columbus Hall.